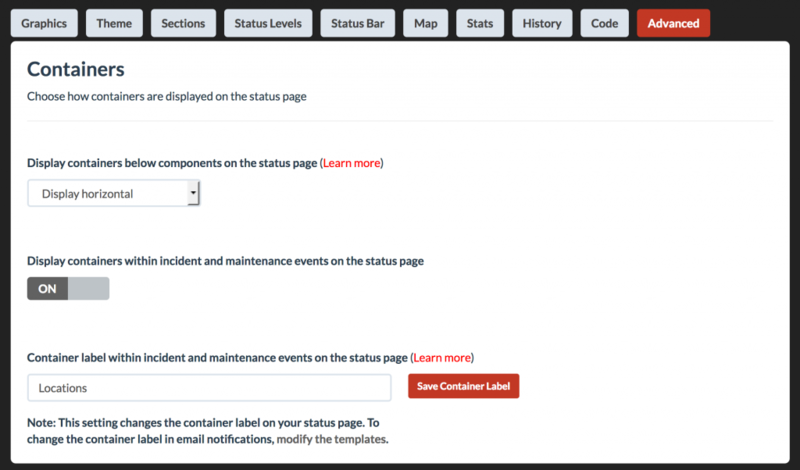 By default containers are labeled as Locations when displayed within incident and maintenance events on the status page. You may choose to rename the label to something more suitable for your situation. In the below example, we changed the container label to Data Centers. Rename the container label from the Design/Advanced tab in the Dashboard. Note: This setting changes the container label on your status page. To change the container label in email notifications, modify the templates.